Price is for earring setting only. 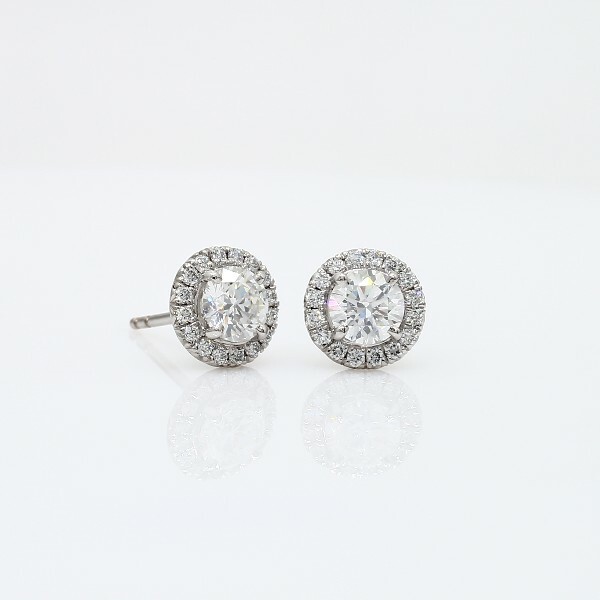 These elegant 14k white gold earring settings will maximize the brilliance of your choice of round diamonds. Each earring is pavé-set with round diamonds.